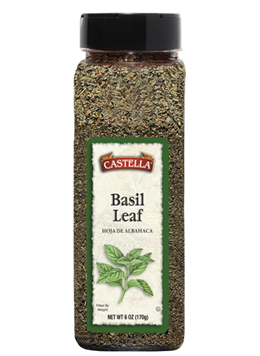 Basil leaf is a member of the mint family. It comes from California where the world`s finest basil is grown. Basil accents the flavor of nearly every food including chicken, fish, pasta, stews, salads and vegetables. Because heat is tough on basil, it should be added at the very last stage of cooking in order to maintain its delicate flavor.